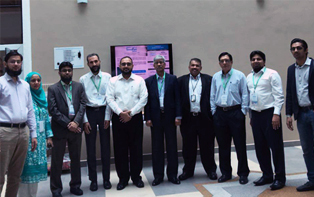 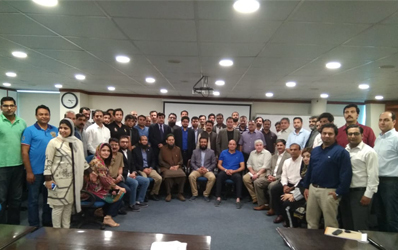 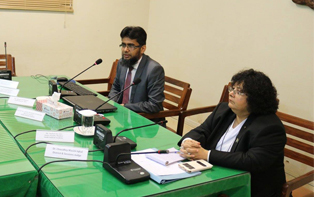 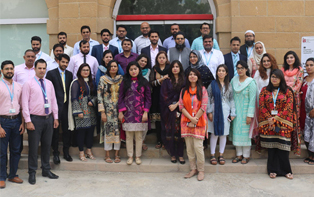 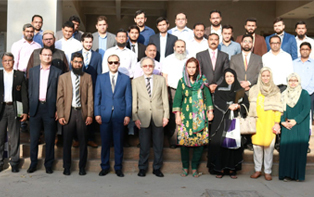 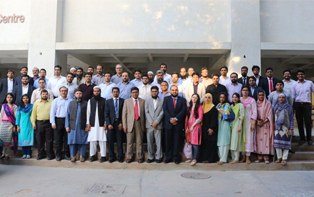 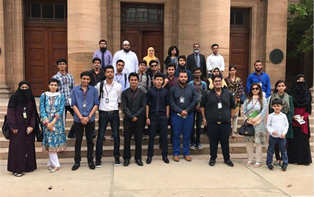 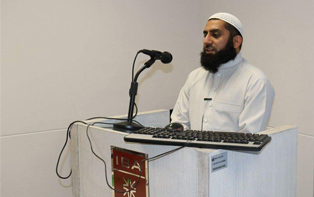 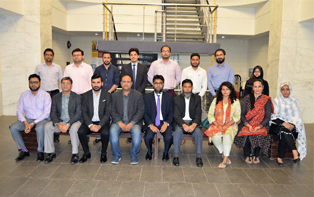 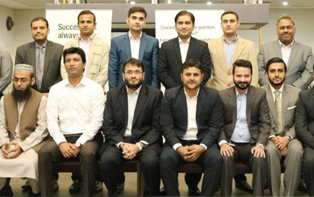 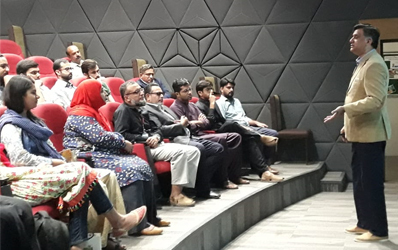 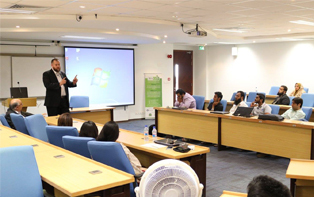 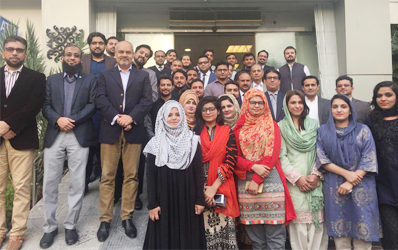 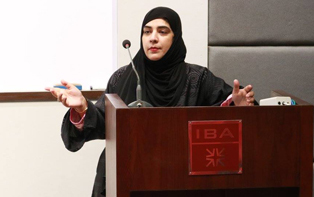 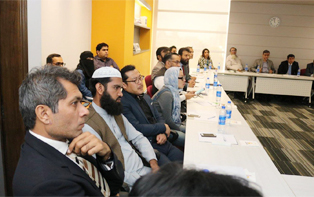 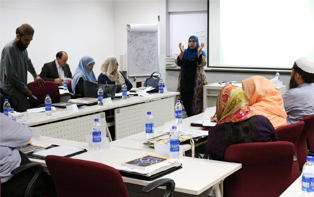 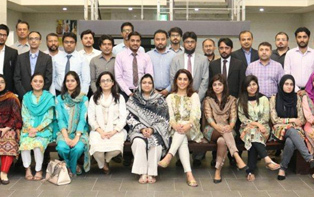 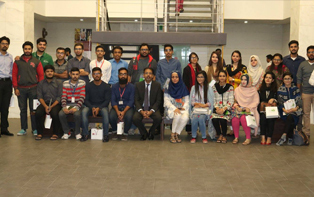 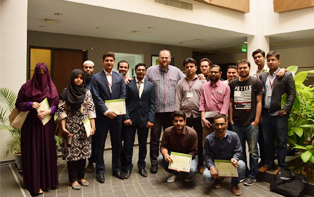 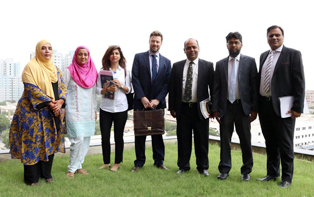 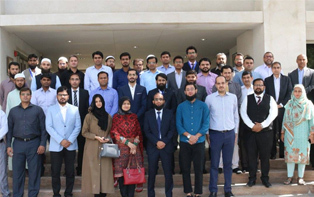 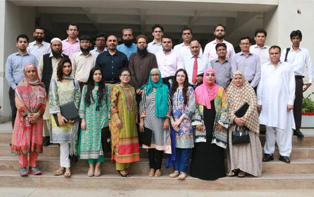 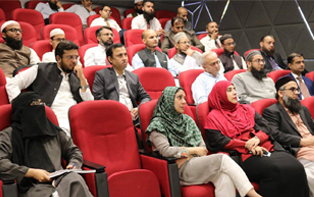 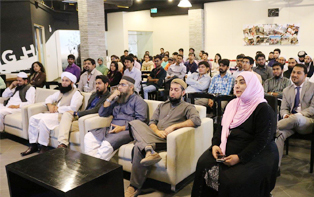 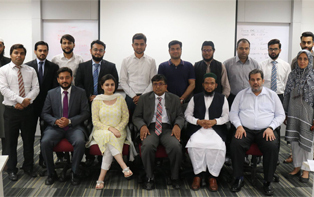 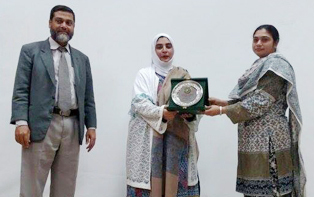 April 4, 2019: IBA CEIF successfully conducted a half day course on "Building Digital IFIs". 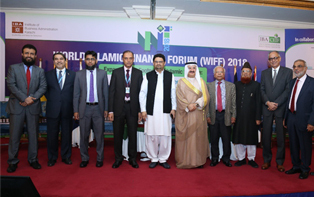 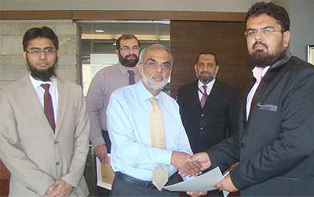 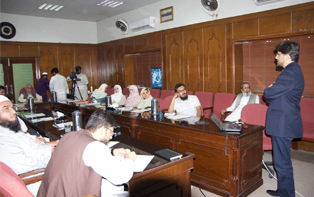 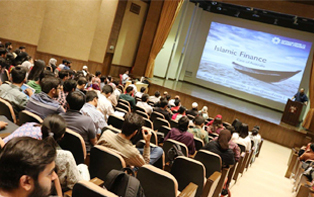 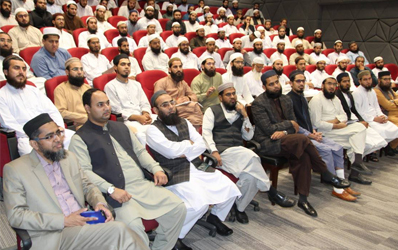 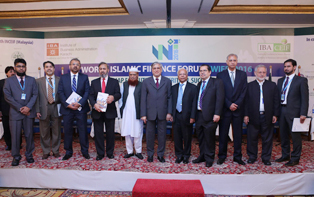 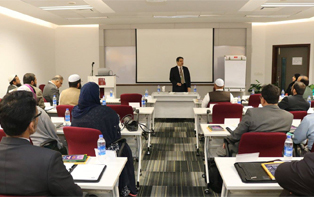 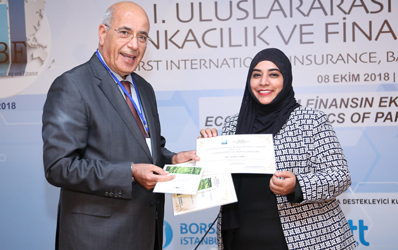 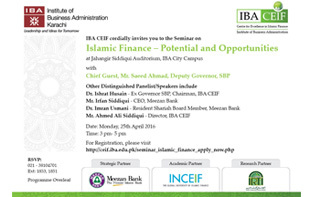 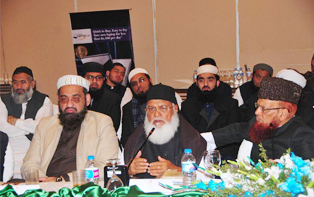 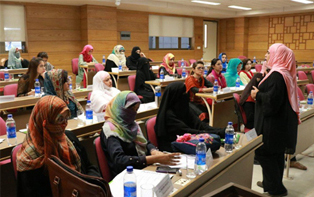 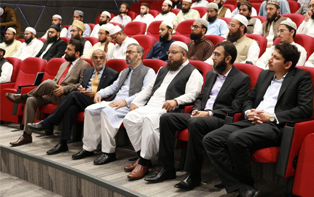 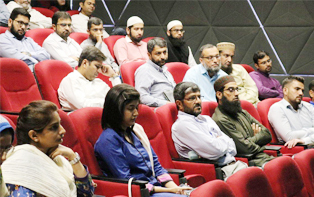 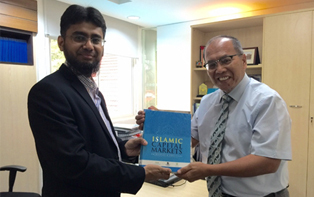 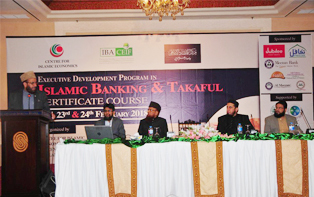 The course was well attended by Bankers, Regulators and Shariah Scholars. 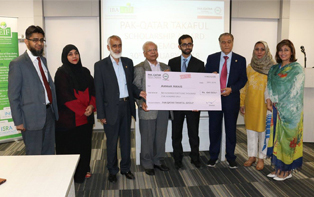 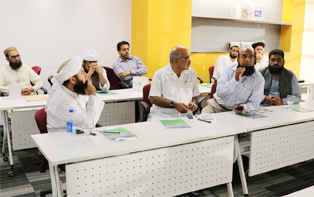 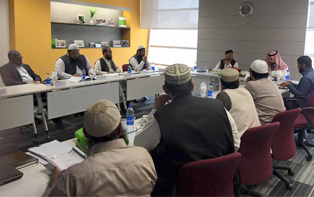 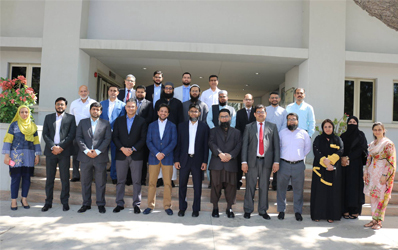 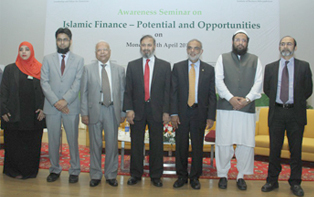 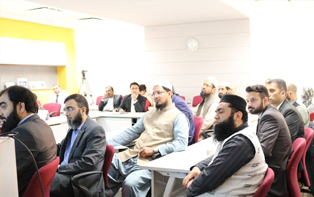 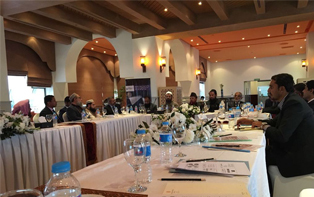 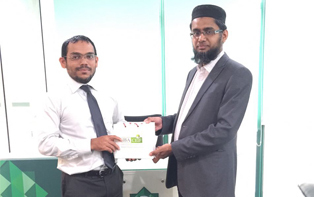 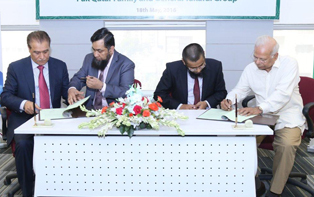 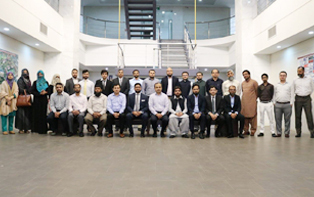 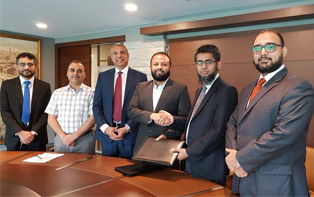 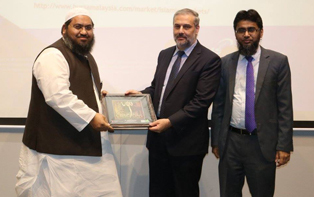 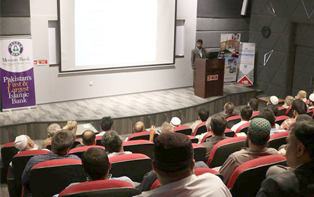 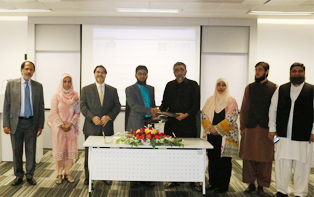 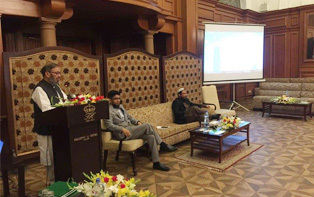 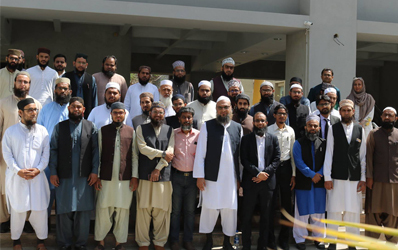 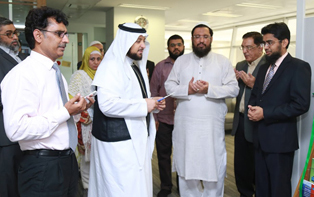 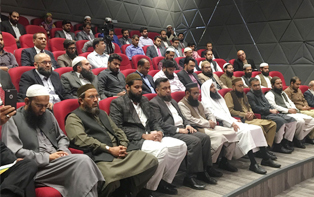 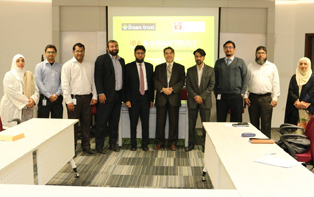 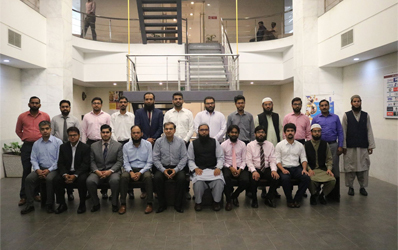 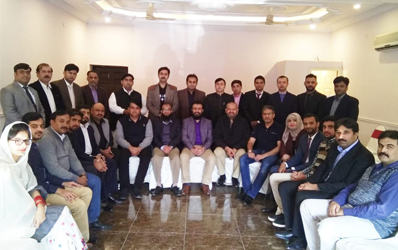 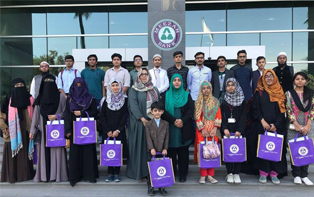 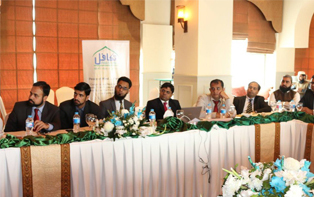 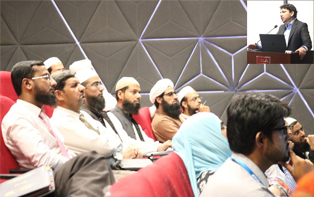 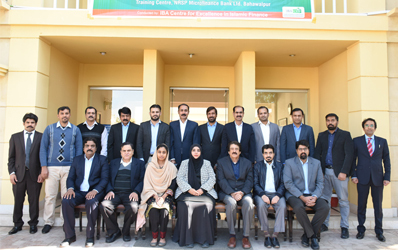 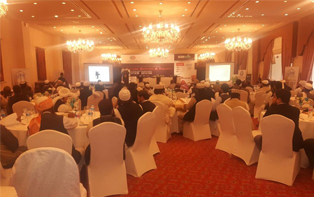 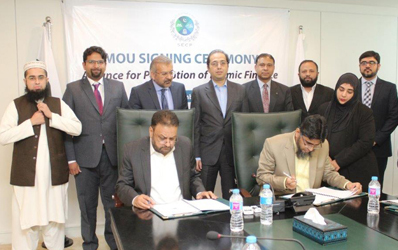 March 30, 2019: IBA CEIF in collaboration with Pak Qatar Takaful conducted an awareness session on "Takaful Practices in Pakistan"
March 26, 2019: IBA CEIF in collaboration with Faysal Bank Limited conducted a one day basic level course for Khateeb-e-Masajid. 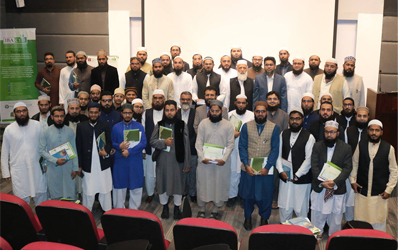 Feb 28, 2019: IBA CEIF successfully conducted two days course on risk management for Shariah Scholars. 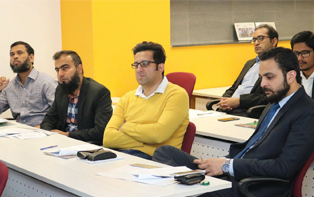 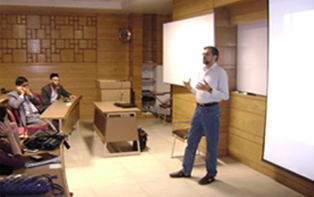 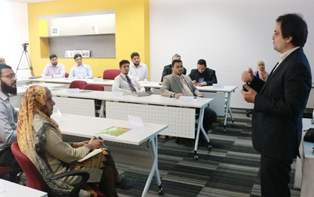 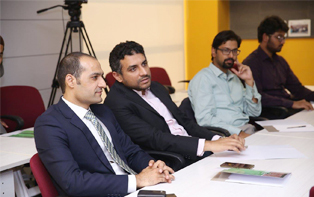 The course was conducted by industry professionals of repute and was well attended. 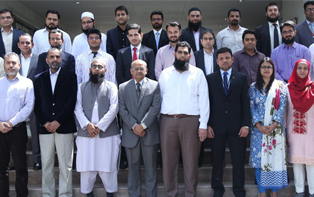 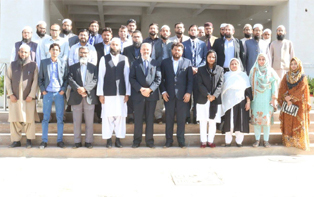 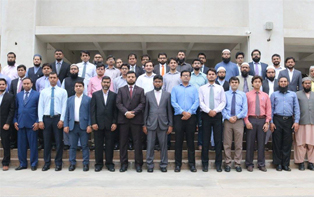 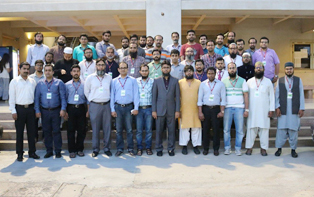 Feb 26-27, 2019: IBA CEIF successfully conducted a two day course on Trade Finance which was well attended by Shariah Scholars, Shariah auditors and other relevant staff of banks. 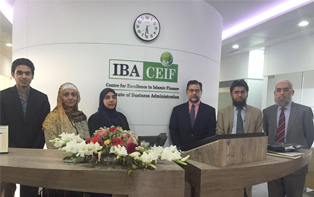 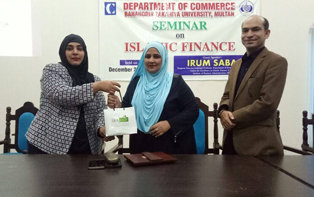 Feb 18, 2019: IBA CEIF successfully conducted Product Development and Shariah Compliance Forum on "Paradigm of Business Ethics in Marketing of Islamic Financial Services"
Feb 16, 2019: IBA CEIF commenced 2 month CIPA (refresher) course which is being offered in collaboration with AAOIFI. 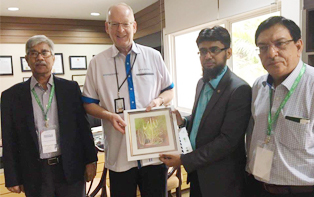 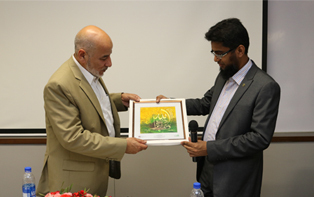 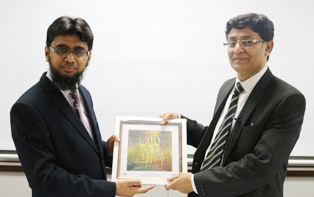 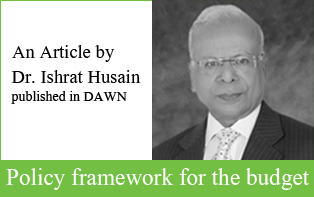 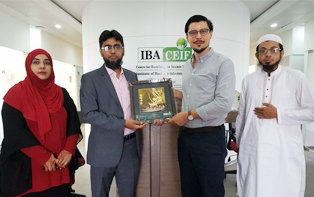 Jan 18, 2019: IBA CEIF conducted a Distinguished Leadership Dialogue with Mr. Najmul Hasan on "Positive Psychology and Islam". 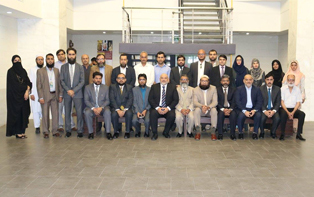 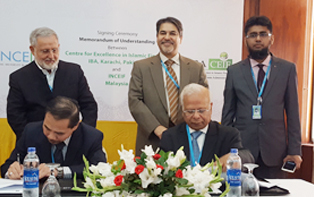 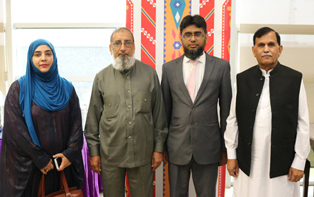 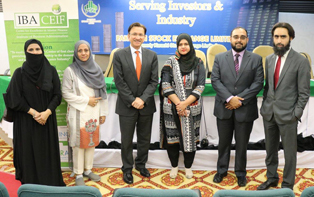 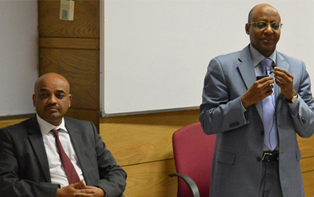 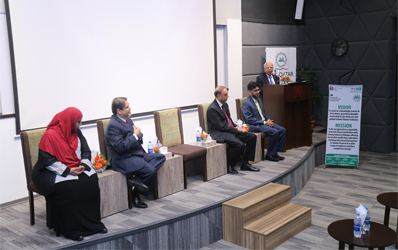 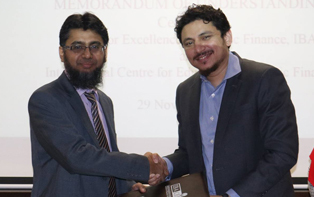 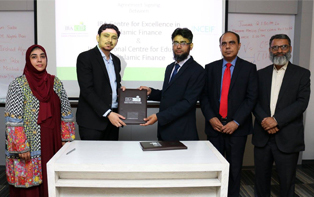 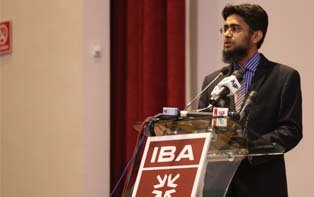 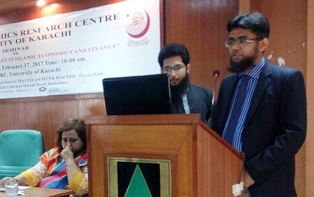 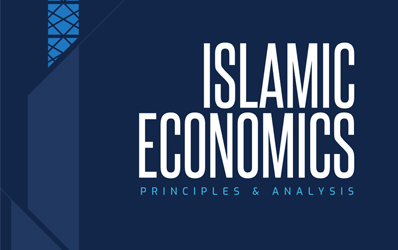 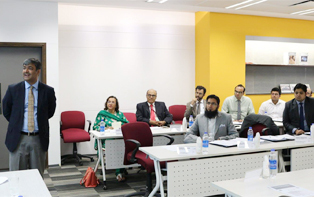 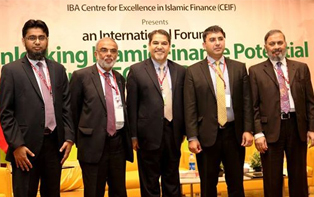 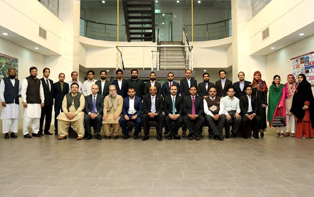 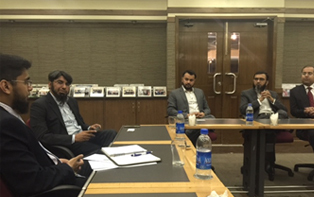 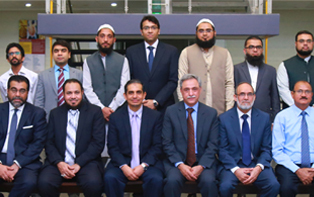 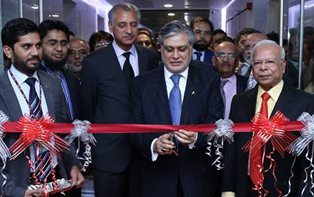 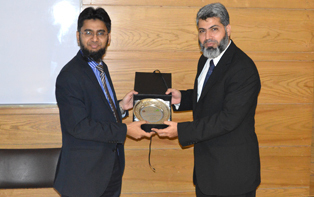 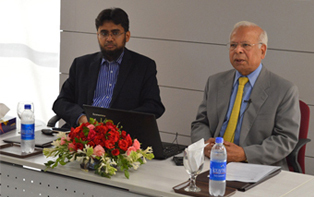 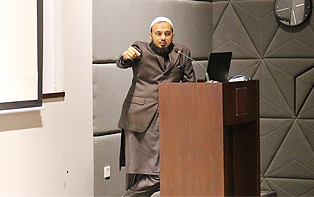 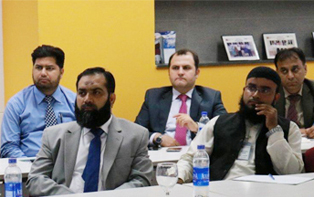 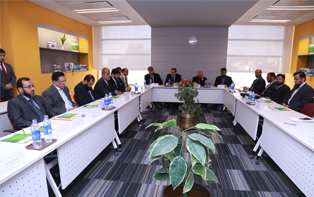 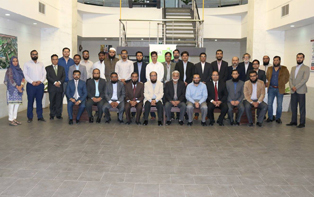 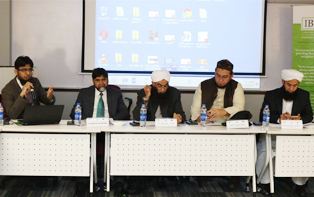 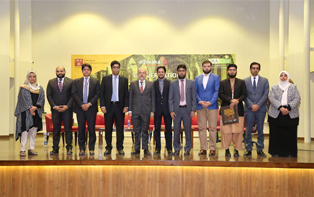 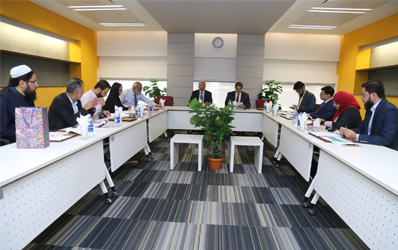 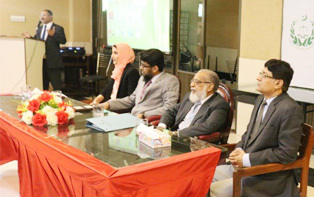 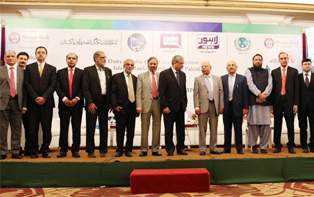 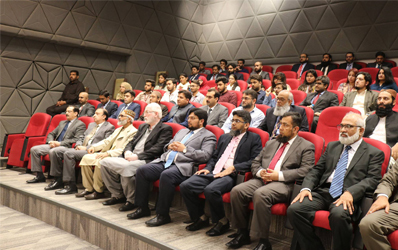 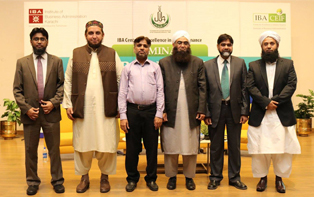 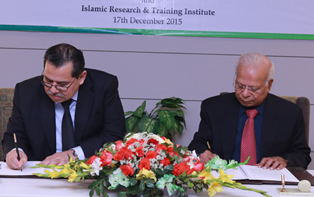 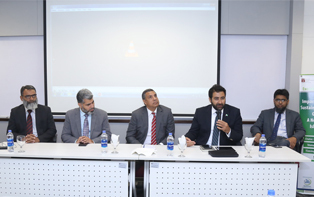 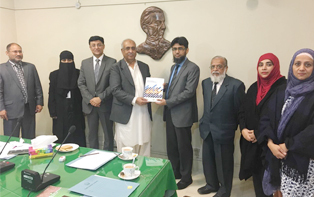 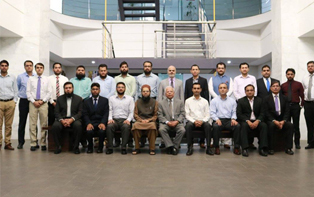 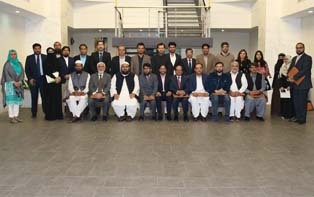 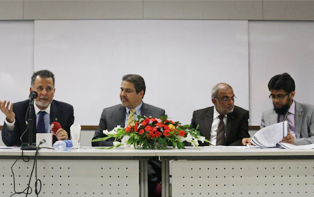 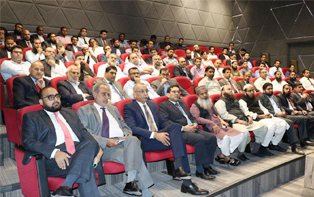 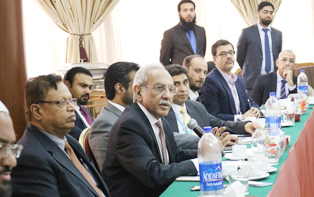 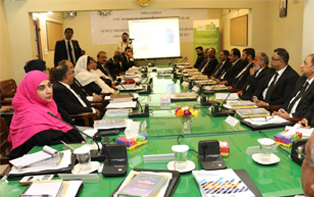 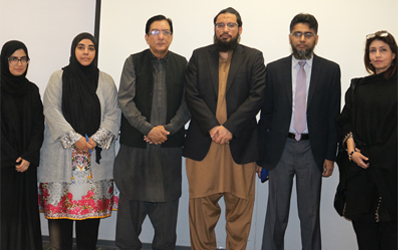 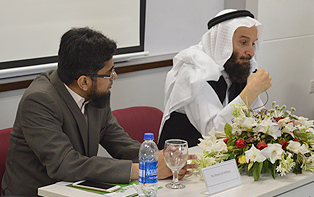 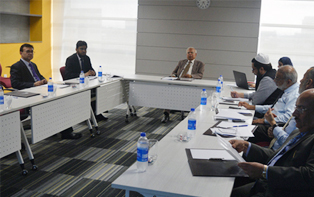 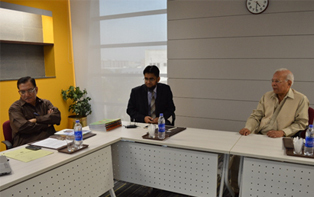 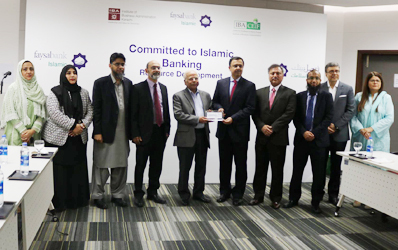 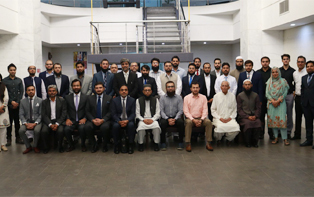 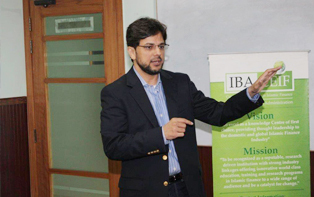 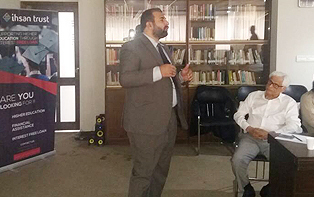 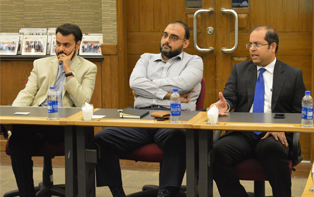 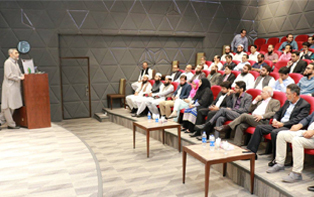 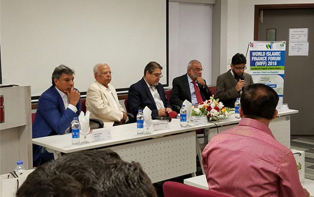 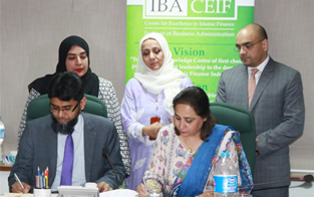 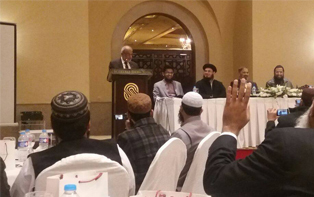 8th December 2018: IBA Centre for Excellence in Islamic Finance successfully conducted a customized course for Faysal Bank on "Islamic Finance 101"
Dec 02, 2018: IBA CEIF organized a lunch in honor of Dr. Ishrat Husain, Advisor to the Prime Minister of Pakistan on Institutional Reforms and Austerity and Chairman IBA CEIF. 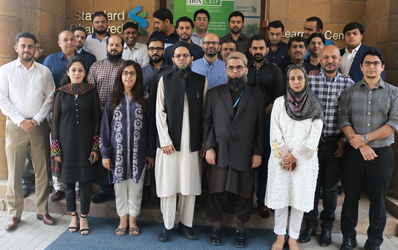 Nov 16, 2018: IBA CEIF successfully conducted a customised course for branch staff of Standard Chartered Bank. 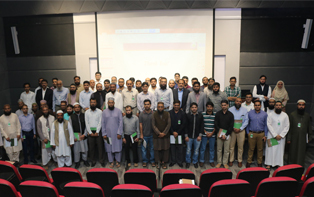 The course was well attended by branch staff. 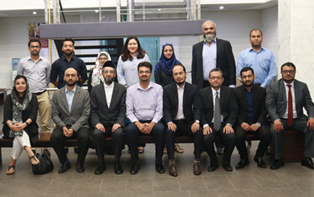 Nov 13-14, 2018: IBA Centre for Excellence in Islamic Finance conducted a two-day course on Executive Learning Program - Risk Management in Islamic Financial Institutions. 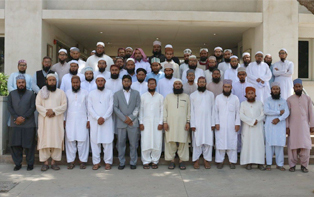 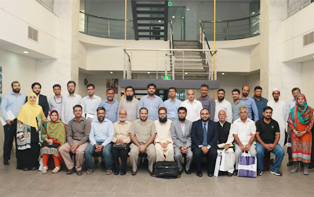 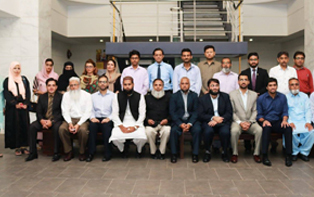 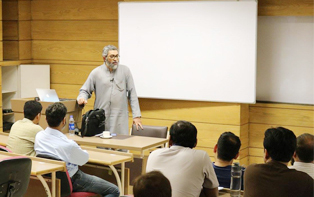 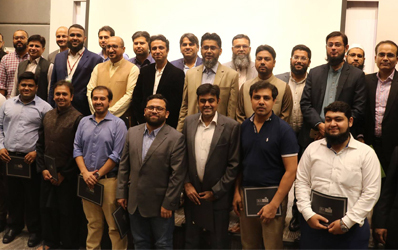 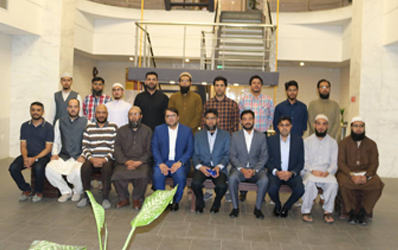 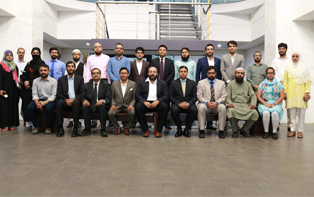 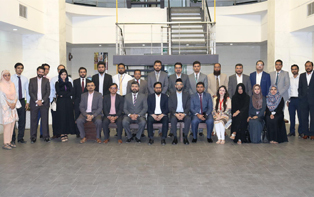 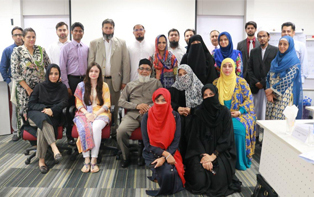 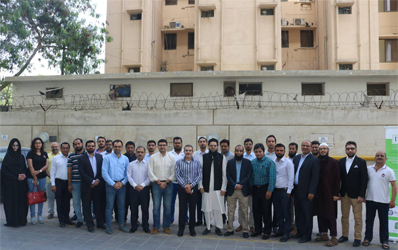 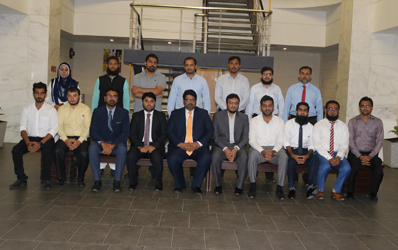 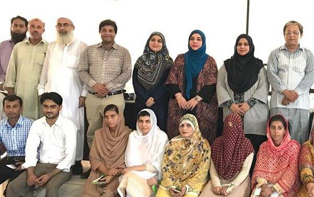 13-14 Oct, 2018: IBA Centre for Excellence in Islamic Finance successfully conducted a customised course for Faysal Bank on "Islamic Finance 101" for personnel from branches all over Karachi. 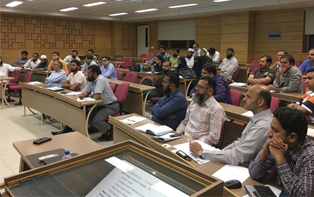 10 Oct, 2018: IBA Centre for Excellence in Islamic Finance successfully conducted a course on "Pool Management and Profit Distribution Framework in IFIs". 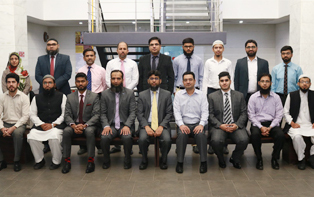 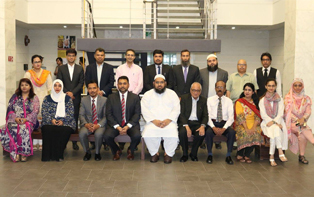 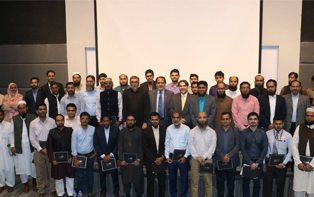 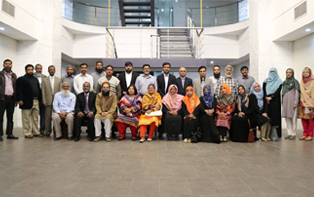 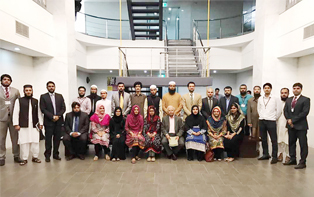 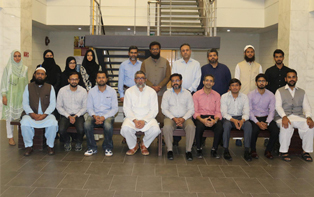 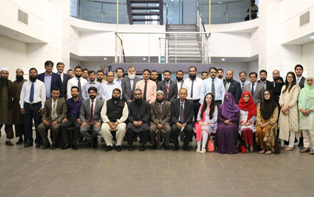 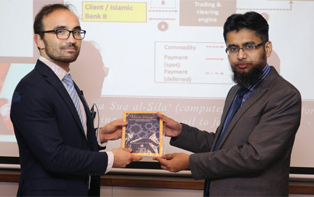 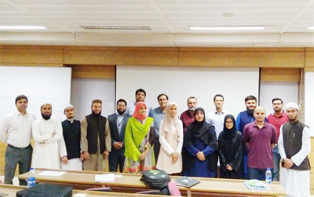 28 Sep, 2018: IBA Centre for Excellence in Islamic Finance successfully conducted an advanced level course on "Framework for Islamic Accounting Standards and Disclosures". 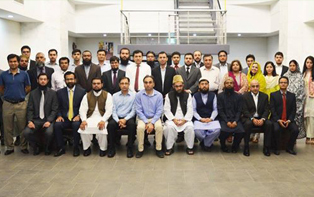 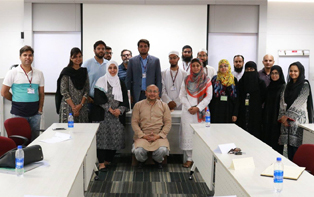 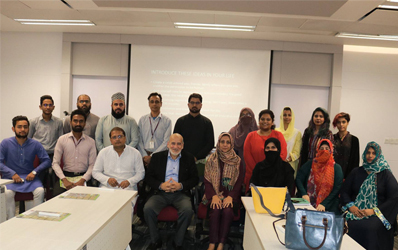 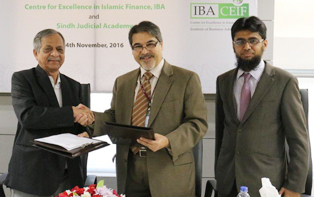 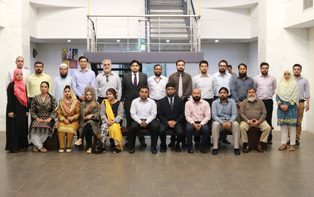 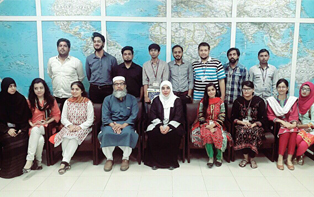 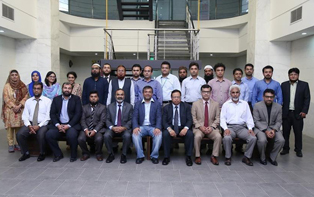 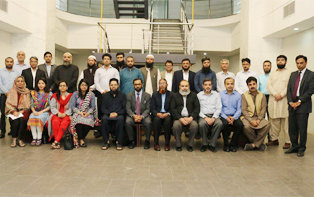 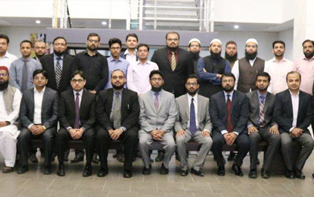 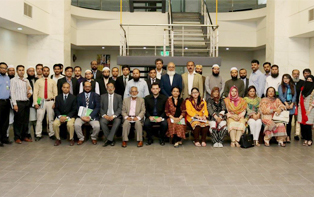 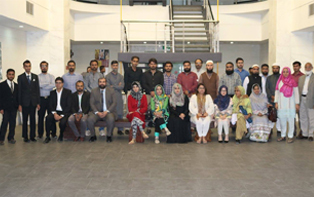 14 Sep, 2018: IBA-CEIF successfully conducted customized course for Standard Chartered Bank on "Basics of Islamic Finance Theory and Practice"
12-13 Sep, 2018: IBA-CEIF successfully conducted an advanced level course on "Treasury Management for Islamic Banks". 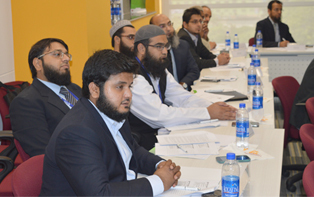 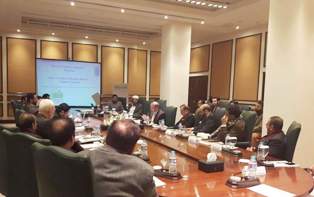 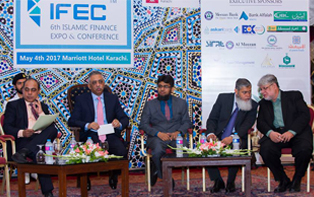 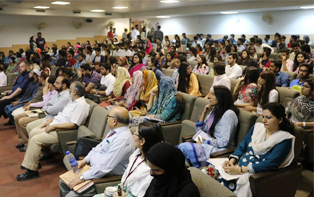 The session was well attended by representatives from various banks. 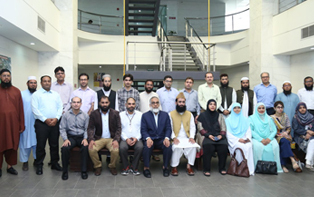 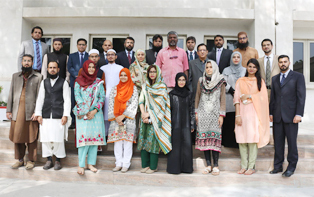 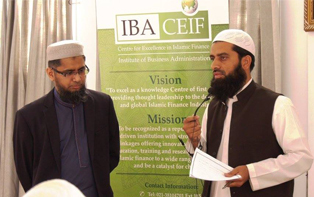 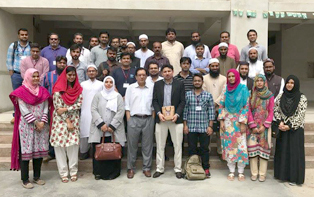 15-16 August, 2018: IBA CEIF successfully conducted a two-day introductory level course on "Islamic Finance 101"
05-08 May 2018: IBA CEIF successfully conducted a four-day training on "Islamic Finance for Academicians"
21st April, 2018: IBA Centre for Excellence in Islamic Finance welcomed the fourth batch of the "Advanced Certificate in AAOIFI Shariah Standards". 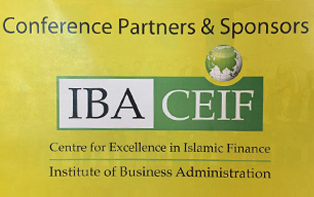 19 April, 2018: IBA CEIF succesfully conducted a one-day training on "Innovative Islamic Finance Solutions and Sukuk"
03-04 April, 2018: IBA CEIF successfully conducted a two-day training on "Trade Finance - The Islamic Way"
21 March, 2018: IBA CEIF successfully conducted training on "Marketing Islamic Financial Products"
19-20 March, 2018: IBA CEIF successfully organized the "World Islamic Finance Forum (WIFF) 2018"
5th March, 2018: Dr. Alaa Alabed, Senior Financial Analyst from International Islamic Rating Agency (IIRA), Bahrain delivered a talk on "Fiduciary Ratings" to MS-IBF students. 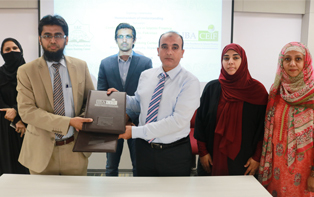 20 Feb, 2018: IBA CEIF successfully conducted another training on "Basics of Islamic Banking"
25 Jan, 2018: IBA CEIF successfully conducted a course on "Trends in Islamic Social Finance and Value Based Intermediation"
24 Jan, 2018: IBA CEIF conducted a Distinguished Leadership Dialogue with Dr Younes Soualhi on "Bursa Suq al-Sila (Malaysia): Mechanics and Issues"
28 Dec, 2017: IBA CEIF successfully conducted a course on "Anti Money Laundering Concepts for Takaful & IFIs"
07 Dec, 2017: IBA CEIF successfully conducted a conversation on "Fintech and its implications for Islamic Finance Industry"
15 Nov. '17: IBA CEIF in collaboration with Ihsan Trust conducted a course on "Disbursement, Collection and Investment of Zakah in NGOs"
13 Nov. '17: IBA CEIF conducted an awareness session on Islamic Banking and Finance at Bahria University, Karachi. 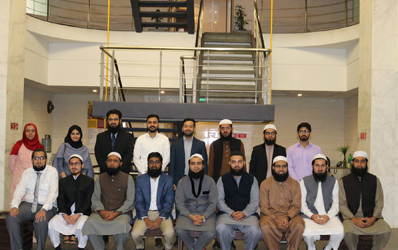 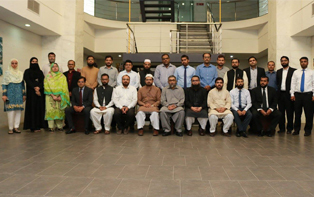 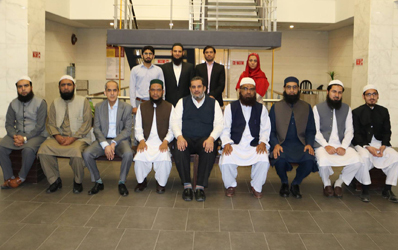 11 Nov '17: The successful candidates of batch 2 of "Advanced Certificate of AAOIFI Shariah Standards"
21st Oct, 2017: IBA CEIF welcomed the third batch of the "Advanced Certificate in AAOIFI Shariah Standards"
10th April, 2017: Session on "Leadership in Quran and Sunnah"
10th Apr, 2017: "Fundamentals and Basics of Islamic Finance"
7th April, 2017: [DLD] "Global Opportunities for Islamic Finance and Challenges in Non Muslim Majority countries"
Mr. Ahmed Ali Siddiqui Guest Speaker at Seminar on "Potentials and Challenges in Islamic Economics and Finance"
31st Jan, 2017: Seminar: "Global Business Growth Opportunities in Halaal Markets"
17th Jan, 2017: International Forum on "Unlocking Islamic Finance Potential in CPEC and Beyond"
10th Jan, 2017: "Round-table Session with Senators & Parliamentarians"
10th Jan, 2017: "Islamic Finance Concepts and Products for Shariah Scholars"
16th Dec, 2016: Round Table Session on "Islamic Finance Opportunities in CPEC and Beyond"
IBA CEIF successfully conducted Executive Learning Program "Global Perspective on Islamic Finance Business"